Interior design just got a whole lot easier, thanks to a new app by The Morpholio Project. 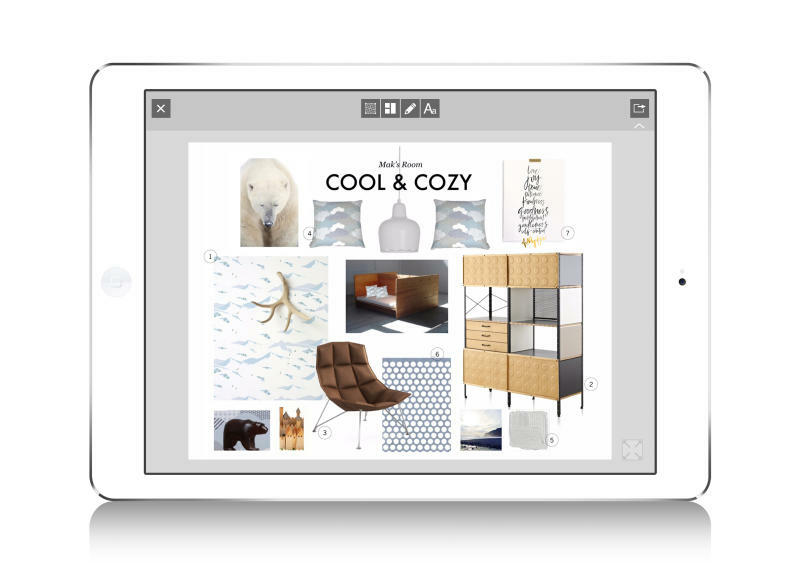 "Morpholio Board" is a mobile-first app that combines room layout features with a library of over 1,000 curated design products. Morpholio has collaborated with some of the biggest names in the design world for the 2.0 version of the app, which includes a ‘gallery' of pieces, with collaborators including Herman Miller, Knoll, 3Form and Porcelanosa. The app uses the group's signature "Eyetime" technology to blend style, products and sketching into a single platform and aims to change the way designers build and share ideas. As well as the gallery feature, which allows users to access a runway of furniture, fixtures, accessories, materials and more, the app includes a ‘tag it' option that compiles lists of objects clipped from the web. Illustration and broadcasting features make it easy to personalize and share plans, while an ‘entourage' option provides an extensive library of people, symbols, backgrounds and text options to add graphic polish to layouts. "This is a tool created with and for the interior design world that we absolutely hope will be co-opted by pinners, bloggers, design enthusiasts and creatives of all types," says co-creator Anna Kenoff.